­­­­­­The Best Frozen Yogurt in Oregon!! 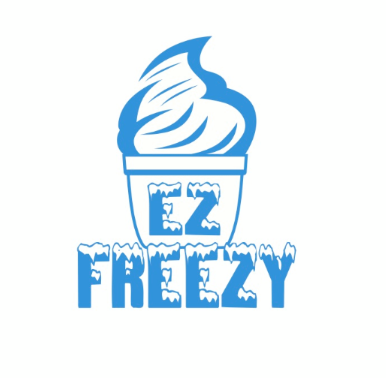 EZ Freezy's goal is to provide our costumers with an incredible Frozen Yogurt experience. We serve the best yogurt in town in a friendly and clean environment that it is fit for you and your family! We try to provied an experiences that we hope inspires people to visit us again. Not only do we use one of the highest quality brands of yogurt, we also have some of the lowest prices in town! Come try it for yourself! Come and Make A Shake! Customize your Milkshake, you can pick a favor, and choose from a variety of delicious toppings! Make something special that you will truly enjoy! There is something about our Frozen Yogurt in a cone that is just special! We have a vairaty of flavors to top your cone with! Some locations also carry our Flavor Burst cones! EZ Freezy Frozen Yogurt is a family owned company. We have several locations throughout Oregon. We opened our doors in 2012 and have been supplying a Grade A Frozen Yogurt experience to our customers ever since. Our YoCream Yogurt is purchased locally, and all of our toppings are purchased weekly to keep that freshness our customers love! Our family has been in the Frozen Yogurt industry for over 30 years. We know our yogurt and we know how to create the best experience for you and your loved ones!